Blog - Just Arrived! 2017 Mexican Silver Libertads! The 2017 1 oz Mexican Silver Libertads have arrived! One of the most in-demand silver bullion coins is finally here at what we believe are industry low prices. This coin is in high demand because of its limited mintages compared to its other government minted competition. To compare, last year the 1 oz American Silver Eagle had a total mintage of just under 38 million while only 1.43 million of the 1 Oz Mexican Silver Libertad coins were produced. It remains to be seen how many Mexican Silver Libertads will be minted in 2017, but many dealers are already sold out and waiting for more. Monument Metals is proud to offer this unique bullion series for as low as $4.45 per ounce over spot! We beileve that price will stand up well to our online competition. The Mexican Mint is the oldest operating sovereign mint in the Western Hemisphere, having opened in 1535. At the height of the Spanish empire, the Mexican Mint was responsible for producing the coinage for all Spanish territories in the Western Hemisphere. 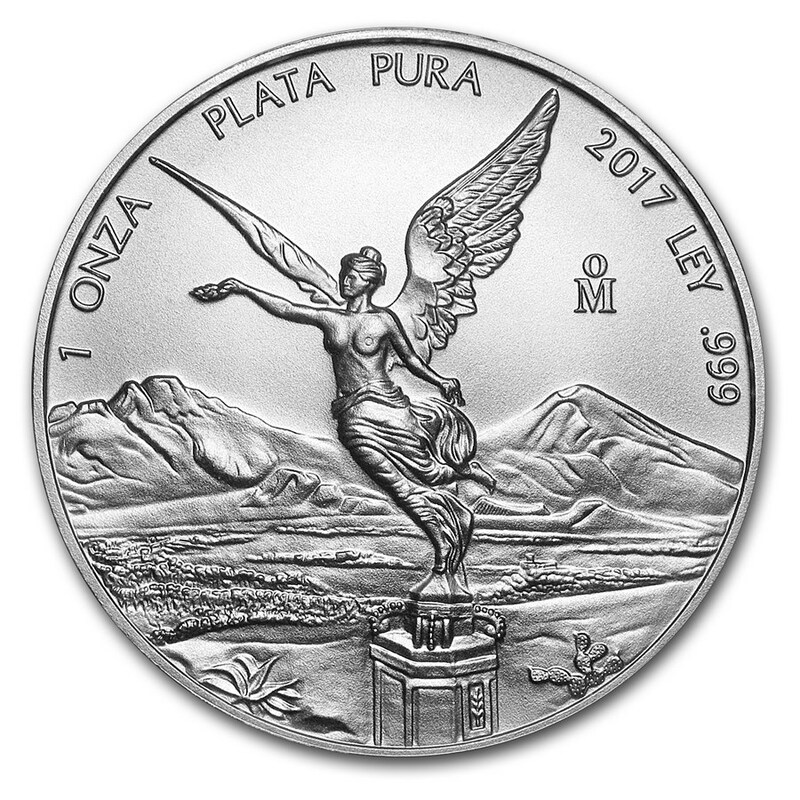 The design of the 2017 1 oz Mexican Silver LIbertad has remained the same since its introduction in 1982. The obverse depicts the beautiful image of Winged Victory, which is a prominent figure in Mexican Independence and appears frequently in Mexican culture. The reverse of the coin features the current Mexican coat of arms. It depicts the current coat of arms, surrounded by ten previous iterations of the Mexican coat of arms that have been previously used. All of the 2017 Mexican Silver Libertad coins are in BU (Brilliant Uncirculated) condition and come directly from mint-sealed tubes. Orders of 25 coins or more will come in a mint tube and orders of smaller sizes will be shipped in individual vinyl protective flips. Take advantage great pricing and limited availabilty of the 2017 1 oz Mexican Silver Libertad today!